This Almond Cake with Coconut Butter Drizzle is from my Mother’s Day 2015 Brunch. I also thought I’d give you the Mother’s Day brunch menu. And happy Mother’s Day to all, especially my mommy! Broccoli and Leek Crustless Quiche that I posted about back in 2010. This dish really stands the test of time. I’ve made it a few times lately and it’s great for dinner or brunch. It’s nice and easy, and you can change the ingredients up if you have some leftovers to use up. For Mother’s Day I cooked up the veggies, layered the bread crumbs, veggies, and cheese in the baking dish the day before. On the morning of, I simply added the milk and eggs to the dish and baked it up. I think it took an additional 5 minutes to bake because the ingredients were all cold from the fridge. But, it turned out wonderfully delicious. Two Layered Potatoes from Feed Your Soul Too. I made this dish all the way through step 12 (or I baked it for 2 hours), then took it out of the oven, let it cool, and refrigerated it overnight. In the morning, I simply took it out of the oven and finished baking it for the final 30 minutes. Mom loved it. She commented several times that she especially liked the little bit of sweetness from the sweet potato. Almond Cake with Coconut Butter Drizzle served with Fresh Berries. I found this lovely cake from April J Harris here. Please do visit her blog, as she shares wonderful recipes! Again, find her here. This cake will keep well for a week in a covered cake pan at room temperature. So, again, it’s great for Brown Bag lunches. But, this allowed me to bake the cake the day before the Mother’s Day celebration, and not have to worry about dry cake. Now, to be quite honest, the meal started with the fact that I really wanted to make this Coconut Butter for my mom. She loves coconut, and I thought this would be a fun thing to make; we could eat it for brunch, and it’s a gift with whatever is left in the jar that she can take home with her. When the Coconut Butter is first made it’s very liquidy, but it starts to harden after a few hours at room temperature. That’s easily fixed by popping it in the microwave to melt it again. The Coconut Butter reminded me of peanut butter, both in flavor and fragrance. And, I think it would be wonderful on morning toast. I’d be willing to bet that you could use it almost anywhere that you’d use peanut butter. This delicious cake is easy to make, moist, and delicious. It can be fancied up with coconut butter drizzle, berries, whipped cream, and toasted almonds. Or, enjoy it simply plain, it's just that good! Preheat the oven to 325º F. Butter and flour a 10-inch springform tube pan or bundt cake ring, and set aside. Soften the marzipan in the microwave for 30 seconds to a minute. Place the softened marzipan, butter, and sugar in the bowl of the food processor, and process until combined and smooth. Add almond and vanilla extracts, and process again. Break the eggs, one at a time through the funnel, processing after each addition. Add the flour to the bowl, and process again. Pour the cake batter into the prepared cake pan. Bake in the preheated oven for 40-50 minutes, but be sure to check it at 40 minutes, as it can burn easily. When the cake is golden, test with a cake-tester or wooden skewer to see if it comes out clean, with just a few moist crumbs. Remove from the oven and leave to cool in the cake pan before turning out. Drizzle with melted Coconut Butter for serving. Spread the coconut in even layers on two large foil covered baking sheets. Toast in the 350° oven for 10-15 minutes, stirring the coconut and rotating the trays after every 3 minutes, until golden brown. Keep an eye on the toasting, as it can burn easily. Remove from the oven, and let cool for about 5 minutes. Transfer the toasted coconut to a food processor, and add in the salt. Process until very thin and smooth. Pour into a jar, and stir every 30 minutes (to prevent separation) until hard. When you want to spread or drizzle the coconut butter, simply microwave on high for 20-60 seconds depending on the amount being microwaved and the power of the microwave, until smooth and melted. Sounds like a delicious brunch. This cake looks so moist and delicious, I wish I had a large piece right now with my coffee. I love almond cakes. I always find them much lighter. OMG this sounds AMAZING!!! MUST try this OBSESSED with Coconut and marzipan!! I’m not much of a marzipan fan, but that coconut butter drizzle has me drooling. OMG! I LOVE snack cakes like this one! Almond cake with coconut butter drizzle looks so good! I think this brunch is a great idea for any At home day. Perfect for mum as well! Oh goodness, I want a slice of this cake with my tea. Looks so delicious! Sounds great! I’d loooove to find this in my lunchbox/bag 😉 Loving the coconut butter – what an amazing idea! Almond Cake with Coconut Butter Drizzle looks amazing, as usual you have rocked another fab recipe! The aroma of this cake must be stunning! What a gorgeous cake!! Love the flavours you have used – almond is always so good in cakes. This is definitely perfect for any celebration! I am a Mom and my heart will burst with thankfulness if someone makes this scrumptious cake for me. Yum! These pics are almost cruel, unless you are serving to the reader seeing this incredible cake! Lovely job!! This is the perfect almond cake recipe. I have never tried anything like this before, so, this is going to be great to make. I love how you say that it would last for a week. As if! Further to my previous comment, Debi,I just realised I forgot to say thank you for the very kind mentions in the post! 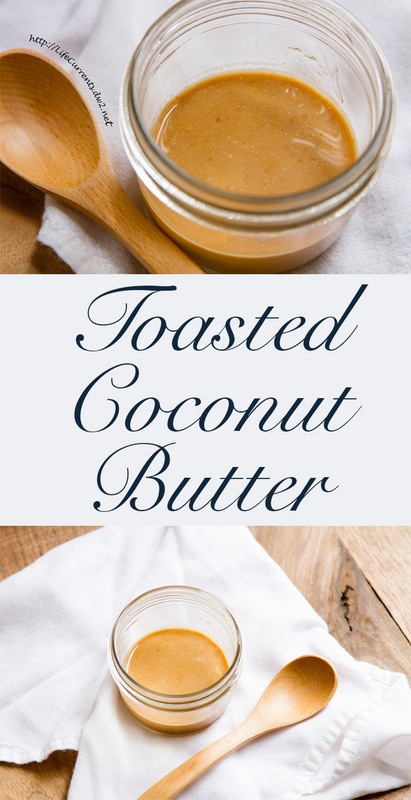 I love what you have done with the recipe – and the addition of the coconut butter drizzle is fantastic!! And, thank you again for sharing it! I never would’ve found it without you! Thanks! oooooooooooh coconut butter drizzle!!! this cake is lovely!